Voted BEST Home Dog Training and Top-Three Best Dog Trainers by “Inland Empire Hot List” since 2014! The best thing we did for our new puppy was pick Wendy from Leader of the Pack Home Dog Training. As soon as Wendy walked through our door you could tell she had the full respect and attention of our dog. She not only teaches the basic commands, but the psychology and behavior behind having a dog that is well adjusted and respects you as the leader of the pack. She does all this without the use of treats, shock collars, or other gimmicks. We now have a well behaved dog that is fun to have around and who we feel comfortable taking wherever we go. 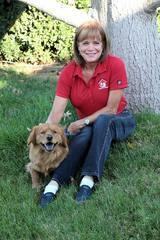 We highly recommend Wendy Blanch of Leader of the Pack Home Dog Training. Posted to Yelp, 10/25/2017 (Yelp Removed) because she had only written one review. We rescued a 6 year old large breed dog, and found he has some behavior issues. Wendy helped us to see that his aggressive behaviors probably stem from fear. She gave us some great training techniques and leadership advice. He learned proper front door behavior immediately, her method is very effective. Some of his other behaviors are going to take more time and consistent training to correct, but he is definitely improving. We are glad that we chose to work with Wendy. I own a boxer who is smart, rambunctious and loving. The only problem is that he doesn’t like some people to the point that when they would come visit; he would get out of control, barking and growling. It became such a problem, we couldn’t take him out for a walk with out worrying about how he was going to act. We love Sarge, and decided to figure out how to help him. I started to do research about training and what we were doing wrong. After a few weeks I made appointments with a few people. One of those “trainers” wanted us to give him Sarge for 6 weeks and he would train him. After 6 weeks, we would have a perfect dog and it would only cost us $5,000, sorry he said $4,999 to be exact. Much to my surprise, I found Wendy. An Appointment was made she came over to our house, told us we were going to be training with Sarge to make us better pack leaders and in turn help our dog out. He has made a lot of progress. He knows where to sit when people knock on the door, the growling and excessive barking has stop. An important lesson that we learned as dog owners is that it is continuous work. Wendy was very instrumental in making sure Sarge is a happy dog. It is an amazing feeling to get your life back and be in charge of your dogs; not the other way around. We called Wendy as a last resort, thinking our only alternative was to get rid of one of our dogs. 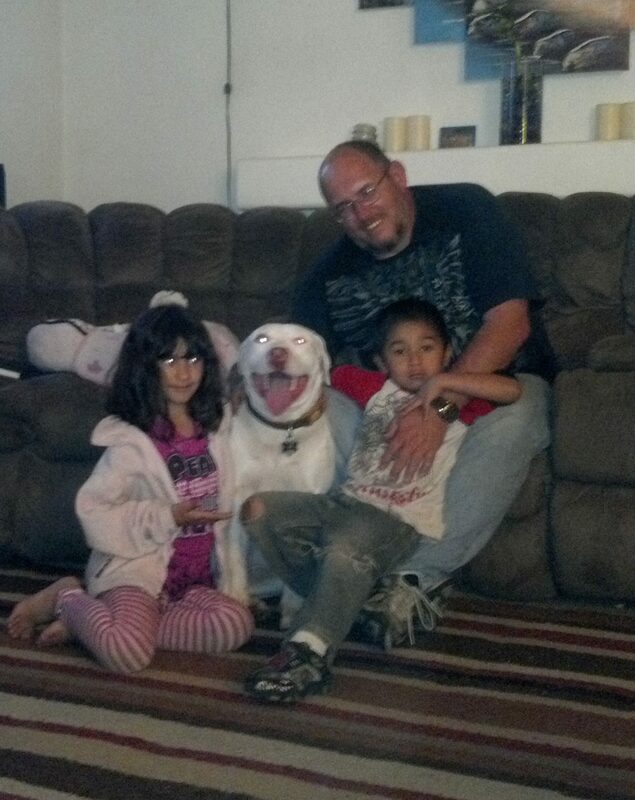 Our story: We have 3 rescue dogs, a male and 2 females, that were adopted at different times. They get along for the most part, but on occasion the 2 girls get into really bad fights, ending with us in urgent care and vet bills in the $500 range each time. Once we had our first child, we knew we couldn’t have them fighting any longer, but once it happened, we knew we had a tough choice to make. We couldn’t fathom getting rid of one until we did everything we possibly could to try to help the situation, so we decided to invest in professional help. Training: The first thing we noticed about Wendy when entering the house was how she commanded control. She spent time teaching us dog psychology, diet and training techniques for our different needs. We diligently worked with our dogs and saw improvement very quickly. 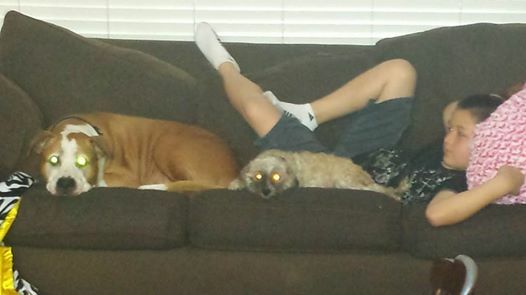 My wife and I became the “leaders of the pack” and our two girls realized they did not have the option to fight over dominance because we were in charge. Additionally, we heeded Wendy’s advice about changing the dogs’ diet to a healthier option, as well as getting one of our dogs joint vitamins because her arthritis was so bad she could barely put weight on her back legs which made walking virtually impossible. Within a few weeks we noticed a big difference in our dogs’ bodies. Fat pockets were disappearing, they were looking leaner, and just acting happier. Our dog with arthritis has pep in her step again, walking around our neighborhood no problem! We’re amazed at the improvement in their quality of life (and ours!). It is a wonderful feeling being able to take the three dogs on a walk together with our infant in her stroller and enjoy the moment. We even get compliments from our neighbors at how well-behaved and trained our dogs are! Our favorite part of Wendy’s technique is the patience and time she spends with you. She never rushed us to be done with the visit and really wanted to make sure we had exhausted all questions and felt completely satisfied with her training. She even scheduled us a bonus training visit to follow up with our progress with the 3 dogs. Thank you, Wendy! We love having our house back and our 4 legged babies getting along so well! I just met with Wendy today for our first training session. I have a dog with serious issues. Wendy addressed those problems with behavioral strategies that showed me a different dog within two hours. I have hope again. I am so happy the I decided to go with Wendy’s Leader of the Pack Home Training course. I have a 14 month old pit bull, Khaleesi, and started having problems with her on walks such as lunging at people and dogs, also problems with door rushing, no recall at all and nipping. It’s only been one week since our first training session and Khaleesi is already doing better. She walks at heal position and now we can walk past distractions such as barking dogs without chaos. We still have a long journey to getting certified as Canine Good Citizen but now I’m starting to trust that I can be the pack leader that my dog needs and wants. Wendy is very thorough, she takes her time to make sure that we understood what being the pack leader means and does for dogs. For the first time ever I feel like I don’t need any clickers, treats or prong collars to make my dog understand what I want her to do. Me and my family are enjoying seeing the positive progress and are looking forward to our next session with Wendy. Wendy came into our house saying, “Now, there’s no magic way to train your dog…” but let me tell you something… she is magic. Our dog is a year old, and though she’s the sweetest to us, she’s uncontrollably aggressive towards strangers and visitors (basically its her against the world). We’ve tried giving her training at different places and she’s barked and growled and snapped and confidently failed her way through every single class. I can’t even take her on walks because she strains against the leash so much, and tries chasing down everything that moves. Scheduling with Wendy was a seriously desperate cry for help – please! help us! Wendy showed up with tools and skills to train our dog. At the beginning of the lesson, our dog wouldn’t stop barking and snapping, but oh my gosh… by the end, she was obediently walking next to me (“heel!”) and when I stopped, she would sit. She wasn’t even barking!! TEARS. Incredible. My mom was so sure that nothing would work but by the end of the class, she was hugging Wendy and asking her when we could have more lessons for our dog HAHA. Wendy saved our dog. Jett was undisciplined until our training with Wendy. Before the training, we lived in fear that Jett would “jet” out the front door. After our first session, he learned the “come” command. Shortly after this, Jett got out as I was taking out the trash. He began to jog off and a motorcycle was barreling down our street. I thought, Oh no!” I used the come command with the stance and tone she taught me and he came right to me. Additionally, our Daisy dog now no longer lunges and barks at other dogs on walks. Wendy helped us regain our sanity in several other dog-related areas as well. I highly recommend her. – Suzanne P., Riverside, CA. It really works!! We adopted our little Chihuahua mix a month ago from the corona shelter and while she was wonderful inside of our apartment, she was fearful outside, barking and lunging at other dogs as well as people. We saw an improvement day one and in the last 2 weeks we have seen a completely different dog, much more confident and calm. We have learned so much about how we need to behave and direct her as the pack leaders. We had a great time this morning during our follow up meeting, our doggie met Wendy’s three dogs and we had a chance to do some agility which she loved! Having Wendy train us was worth every cent! We recently lost our 14 year old lab to suspected cancer. Although we also have a pug and 2 Chihuahuas, losing Abby left such a huge void in our lives, we replaced her with a 3 month old black lab puppy. My husband researched and found Wendy and scheduled an appointment. Our pug and chis were all three barkers. After our first session with Wendy yesterday morning,our new puppy was walking on a leash, sitting on command and waiting at the front door until we released her to go through. The other three dogs got to the point that they did not even bark when the doorbell rang.Even after Wendy left, we had several people in and out of the house and still had no problems. I called Wendy because I have three dogs. Two older dogs and a new puppy. The older two had a problem with barking whenever the doorbell rang or someone knocked at the front door. I could not let people into my home right away without getting my dogs out of the way first, because they would bark at my guests as they were coming in and my dogs would also jump on them. It was embarrassing to say the least. Wendy came about two week’s ago and we had a 4 hour session. She showed me the tools I needed to correct my dogs. After the first session my dogs no longer are barking at the door, I can leave my front door wide open while I greet my guests and my dogs are nowhere in sight. No more feeling embarrassed or avoiding having people over because of my dog’s behavioral issues. I can also now walk them without lunging out at other dogs while we walk through our neighborhood. I feel so relieved in knowing that my dogs are better behaved now. I am still working with them and doing my homework, it’s a work in progress, but I can honestly say that Wendy did a great job showing me exactly what I needed to do with my dogs. I am a stress free doggie parent now. I look forward to working with Wendy on getting my 3 month old Dachshund Puppy trained as well. Thanks Wendy! We have an 8 yr. old Bichon-Poo who recently lost her best friend, our 14 yr old golden retriever. Before that, she was just spoiled. Since then she had become insecure, anxious, developed separation anxiety, and barked excessively when anyone came to the door. She knew basic commands but was inconsistent and would constantly pull forward on the leash. We used to take our dogs everywhere but could no longer trust Bon Bon to behave. We called Wendy and literally after the first session, she was a new dog! She learned to heel perfectly, as well as sit/down stay reliably. Miraculously she also learned to stop barking and instead, sit in a designated place away from the door when someone rang the bell until she was released to greet the guest. That was a couple of months ago; we are now getting close to being ready for her to take her Canine Good Citizen test and after that, begin preparing for her to become a therapy dog. This weekend we are taking her with us to a hotel with confidence that she will be well behaved. We are so grateful to Wendy and highly recommend her! Wendy is absolutely awesome. We just finished our second training and my dog Otis has done a complete 180. A bicyclist and skater came rolling by and my dog didn’t even give a second glance. Before he would go absolutely mental on the leash. Amazing. My other dog Ruxin was also very bad at coming when called and listening in general. He’s much better now and although he still needs some work he has improved quite a bit. Such a huge difference for both my dogs. Can’t wait to show my friends and family what loving dogs I have. Thanks again Wendy!!! Can’t wait to get them used to other dogs next. I used Wendy to help me with my two Therapy Dogs whom all of a sudden started to fight each other. I didn’t know what to do, so I contacted my vet, who told me about the wonderful work Wendy has done for their other clients who’s dogs had sibling rivalry issues too. Wendy showed up and was very friendly, calm, helpful, and very patient with me, as watching my dog’s fight was terrifying. I was so afraid they would fight again. Within two visits the two were friends again because of Wendy’s help, patience and support!! Oh and her shoulder to lean on. Thank you Wendy!! I still have the fear, but Wendy is always there to help me get through it, whether on the phone or in person. She is always available to me. Wendy from Leader of the Pack did an awesome job with my very fearful 5month old puppy today. She gave us detailed instructions on how to work with our pup on her separation anxiety. We could see the difference in our dog right away. She taught us how to be leaders so our dog feels safe, secure, and happy. We interviewed a few different other trainers but decided on Wendy due to her gentle yet assertive approach. She’s also very knowledgeable on all things dogs! “Wendy is absolutely great!We had hired Wendy for our then 12 weeks old Lab Mix “Basil”. Basil enjoyed “performing” his puppy bites on us frequently, and with his razor sharp puppy teeth, our underarms were very bloody quite often. We researched a lot on how to make him stop, but he wouldn’t listen to “No” in this case, he wouldn’t react to us letting out a “puppy weep”, nor was he impressed, if he got a timeout. It was, and still is extremely important to us to train our fur kid in a gentle, non-violent way. After some research we came across Wendy. 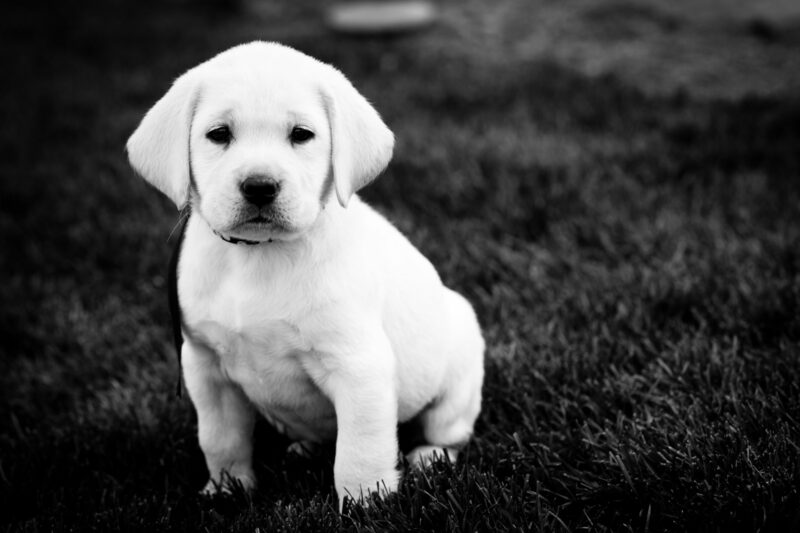 We liked the fact that she had a life time experience as a dog trainer, would enable us to train our dog in a gentle way, and also that she would come to our house for the training sessions. This is important to understand: Wendy enables the dog owners to train their dogs properly, which – in our opinion – is the way it should be. In the very first session, she showed us how to make Basil stop, when he would get in his “puppy bite mood”. I must say, my wife and I were more than impressed on how great Wendy’s approach did work. It basically comes down to “gentle, but firm” correction of “misbehavior” and constant and active rewarding of good behavior by using voice and physical affection. (That is also a great thing we liked about Wendy – she doesn’t reward a dog with treats, but with voice and affection). Thanks to Wendy, Basil’s puppy bites were under control after the first session and in the following sessions, we learned so much more on how to properly train our dog and make him listen to our commands, which at one point in time might save his life (for instance him chasing a rabbit and running towards a street…). 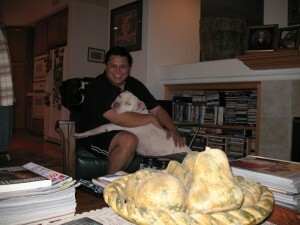 I have two pit bulls currently enrolled in CGC (Canine Good Citizen) training. I have had the hardest time teaching my boy, Elvis, the “down” command. Within minutes she had him doing it AND had him doing all sorts of agility exercises! 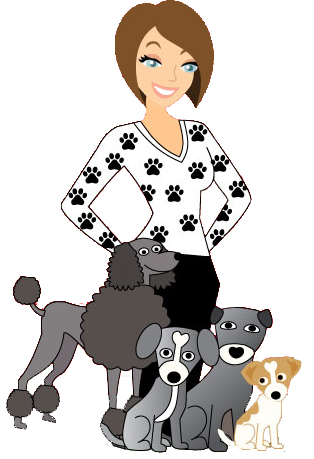 Not only is she great with the dogs but she’s a big animal rescue advocate. I recommend Wendy for any issues you may be having with your dog!! Posted to Inland Empire Hot List by Dr. Bart Huber, Animal Medical Center of Corona. “Our little Jasper is a wonderful doggie. But like a lot of doggies, he had a few discipline problems that we were just unable to work him through. Pack Leader Wendy Blanch to the rescue! She came to our home, worked with us on working with him, and now our doggie is heading in the right direction! No more attacking guests when they ring the door bell, no more dragging me down the street on our walks, no more leaping on me when it’s food time or snatching food out of Mike’s hand as he’s about to put it in his mouth. He also waits patiently for his ball (below picture). He’s much better behaved with our cats (Jasper, not Mike). Wendy gave us so many little hints that helped us help Jasper. You could tell she honestly loves dogs and Jasper was quite eager to work with her. Wendy didn’t judge us for our lack of discipline, just showed us better ways to make Jasper work with us. How did I hear about Wendy? Well Priceless Pets of course! Wendy works with rehabilitating many of their dogs to get them ready for adoption. “We have had two lessons with Wendy so far. Our golden~doodle was better after the first 20 minutes Wendy worked with us. He’s walking on a leash without pulling. He doesn’t go crazy at the door with we have company anymore. This sounds silly but today he dropped a dryer sheet after only being asked to do so. Dryer sheets are his favorite thing to steal and run with. We haven’t even worked with him on that, he’s just a better behaved dog now. Having Wendy come work with us was the best decision we have made since we adopted our sweet, silly, hyper, goofy~doodle! I’ve read the other testimonials about Wendy Blanch and she really is as amazing as the testimonials indicate—If we hadn’t had Wendy’s expertise I would have been sceptical of all the glowing praise BUT she turned our white, 88 lb, German Shepherd around. After ony 2 weeks and 2 visits with Wendy we now have a great dog who walks at the “heel” position and without lunging at other dogs. We signed up for the one year with her and that decision was partly based on the feeling that it would take any trainer at least a year to correct some of our Shepherd’s bad habits. He really is a sweet dog, but after having him for 3 years I was becoming frustrated with his charging other dogs while on a leash. I know we have to keep practicing what Wendy has taught us, but now we have definite guide lines of things to do that really work!!! Wendy did an amazing job in 3 hours! As much as we love our dogs, they were literally out of control and unmanageable. By the end of the first session, we saw a transformation! The incessant barking had stopped. They were listening to us and obeying. Wendy taught us practical and gentle ways to stop the bad behaviors both dogs were exhibiting. She helped us deal with one dog’s aggression towards other dogs. She also helped us deal with the other dog’s unfriendliness towards visitors. I would recommend Wendy as a trainer and her programs to anyone wanting some help with their dog. 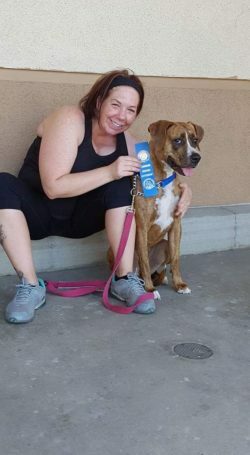 I have had other dogs in the past and have tried several other types of training – had I known about Wendy then, I would have done this type of training instead. I love the fact that the trainer works with your dogs in their home since this is where the majority of behaviors are occurring. I cannot say enough good things about Wendy – she has empowered us, educated us, and made our home a much happier place for all – including Charlie & Bailey!